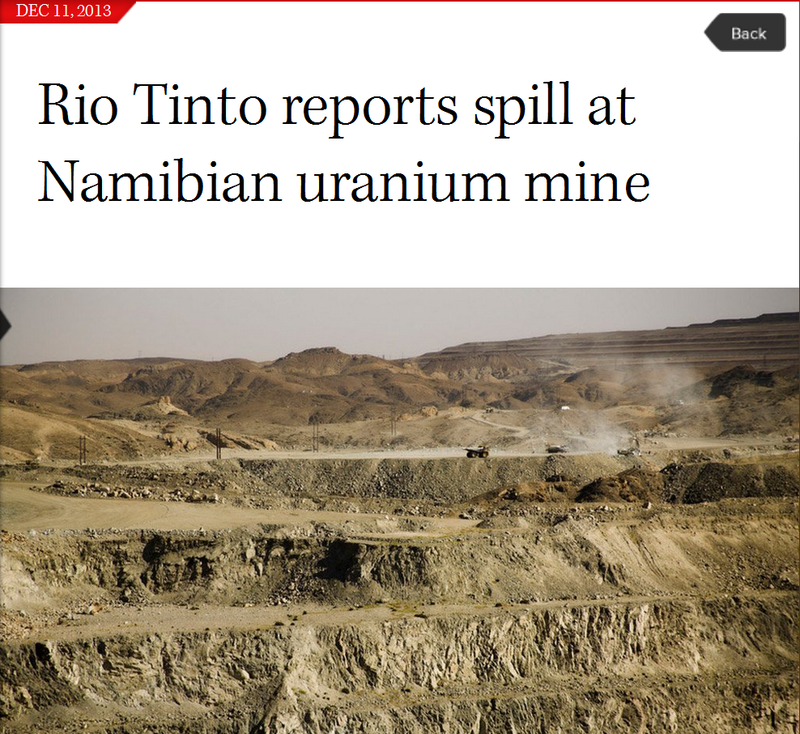 It has been revealed that the collapse of a leach tank at the Ranger uranium mine in the Northern Territory was the second such incident at a Rio Tinto mine in less than a week. Rio is a majority shareholder of Ranger operator, Energy Resources of Australia (ERA). An investigation is under way at the Ranger site, inside Kakadu National Park, after a 1,400 cubic metre tank holding uranium oxide slurry and acid collapsed at the weekend. But the local regulator assures us that no radiation has been released to the environment. Excuse me? 1400 Cubic Meters? Thats huge....I guess they caught it with a napkin. And second leak, THIS WEEK, of this magnitude from this company. Their stock is down 30%, I hope this bankrupts them. 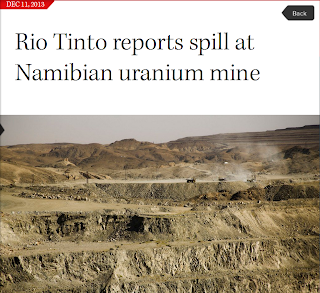 Sell Rio Tinto, tell your broker to check if your funds have any Rio Tinto and sell them. Lock in a loss for this year, and then buy back another better miner next year.